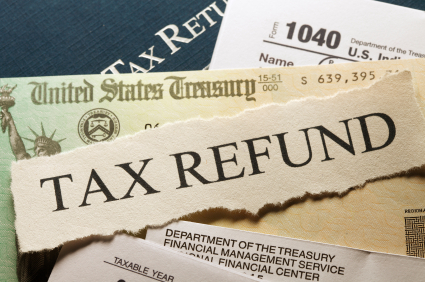 With Tax season almost coming to a close, many of us are getting the happy news that our tax return refunds have hit our bank accounts. Deciding what to do with that extra money is the next big step. Many people simply spend it on things they’ve been wanting but couldn’t afford previously- new TVs, upgraded electronics, taking the kids on a fun trip. Others put the money away in savings or invest it. We at GQ Law recommend that you invest it in an Estate Plan. We’ve posted many times about the importance of an Estate Plan and know that while most people know in their heads they want and should have an Estate Plan, they hesitate because they don’t know how much its going to cost or if they can afford it. With GQ Law’s reasonable prices and your tax refund padding your pocket just a little bit, you can DEFINITELY afford to get one started. All money matters aside, you really can’t afford not to. Here’s why. 1. Estate Plans Protect Your Assets: Learn from the celebs who learned the hard way. No Estate Plan = Estate chaos after you die. Even the best wishes and plans you told or wrote down on your own for family members and friends are not binding in court. 2. EVERYONE needs an Estate Plan: Estate Planning is not just for the wealth. The amount of money or assets you have does not matter. Everyone, EVERYONE needs an estate plan. 3. Estate Planning is not just for the OLD: In our recent post about Estate Planning for 30 somethings we detail what the younger generation needs in their Estate Plan. Yes, seriously. YOU need an Estate Plan. 4. Your kids deserve the protection of a Will: Nothing is more concrete and binding in a court of law than an Estate Plan, including a guardian designation. No matter what you tell your kids or your parents or whomever, without an Estate Plan there is no guarantee that your minor children will go to the guardian you desire or get to keep all of your assets. Learn why you need a Will in this post. 5. Estate Plans give peace of mind: There are few things peace providing things in life that can be purchased. An Estate Plan is one of them. Call our office and come in your FREE consultation soon. We can get you started on the path to peace of mind and make sure your assets, children, pets, etc. are all taken care of no matter what happens to you. This article is written to give information only. It is not legal advise. Please contact our office to set up an appointment to get legal advise about your particular situation.